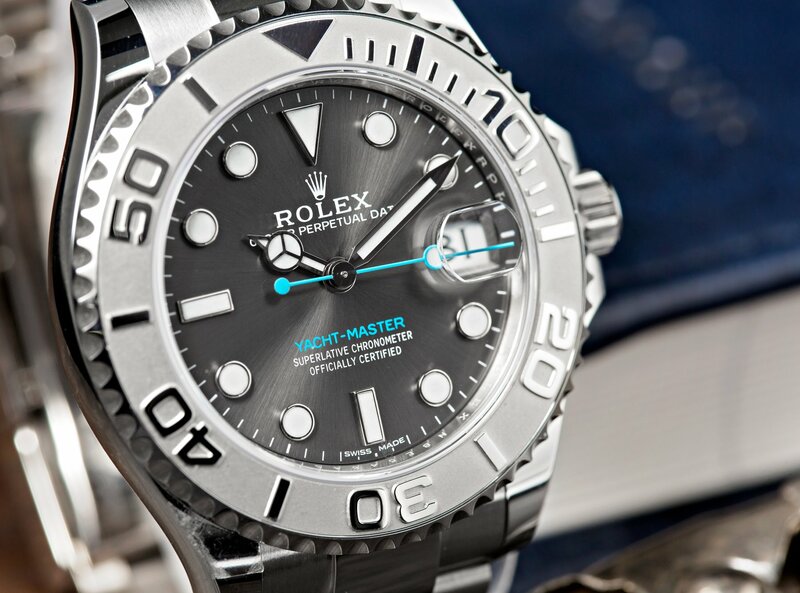 When Rolex developed the Yacht-Master in 1992, they sought to create a top-shelf version of the Submariner diver’s watch. 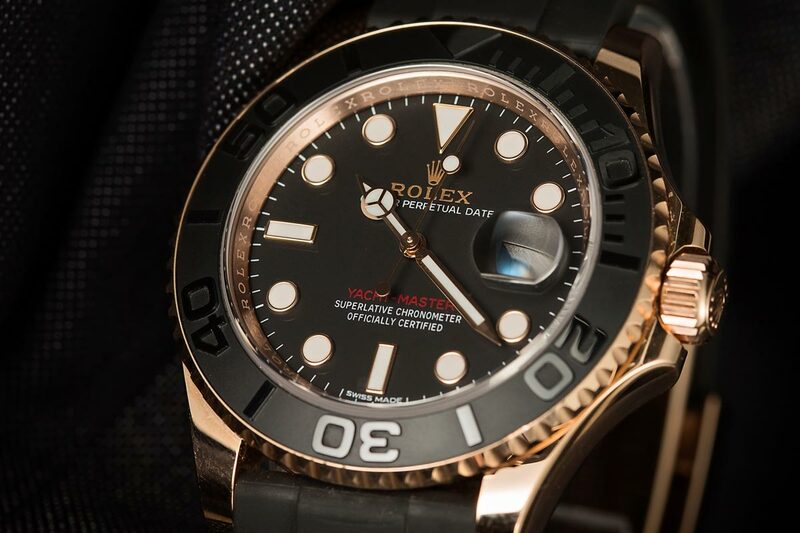 Rumor has it that Rolex wasn’t quite brave enough to make any drastic changes to the design of the Submariner itself, resulting in the Yacht-Master being adding to the catalog as its own model. Both models may look similar with the use of a dial topped with lume, a robust Oyster case, and a timing bezel, but they serve two very different functions. While the Submariner is meant for use while far below the surface of the sea, the Yacht-Master is better suited for the decks of a yacht. Since its release over 20 years ago, the Yacht-Master has become a highly sought-after timepiece, thanks to a blend of bold aesthetics and quality craftsmanship. Using the how to use the Yacht-Master bezel is easy as one, two, three. As its name would suggest, the Yacht-Master was developed as a tool-watch for sailing, offering waterproofness up to 330 feet via a Triplock screw-down crown, a maxi dial with fat hands and larger hour markers, a secure three-link Oyster bracelet, and a bidirectional rotatable timing bezel. Most references feature a bezel crafted from precious metals and distinguished by a sand-blasted insert and raised, high-polish graduations. It’s worth noting that the Yacht-Master was initially only offered in an all-gold finish, with more affordable two-tone options hitting the market shortly after. Tapered lugs complement the luxurious style of the bezel nicely, giving the Yacht-Master a look that stands apart from its muse the Submariner. Getting back to the Yacht-Master’s status as a sports watch as well as a boating watch, the bezel’s primary function is to measure amounts of time while at sea as well as sync with race start times. With a build similar to the Submariner, you can expect some of its key functions to operate in the same way. Did you know how to use this simple mechanic on the watch? Comment below. Measuring elapsed time via the Yacht-Master bezel is pretty straightforward. To start, rotate the bezel in either direction to sync the zero position with the minute hand. Once finished, the minute hand will point to the amount of time that has passed. All of these options are extremely useful while sailing but have several applications towards life on land as well, making the Yacht-Master ideal for any lifestyle. We will save the Yacht-Master II bezel for another day.